So at long last I’ve completed the previously-named Project Lazarette and am now ready to reveal it to the world! Working title: Drain the Gulf! Very literally: draining the Gulf of Mexico. Just taking all the water and pumping it out. It’s political satire with an awful lot of fun pokes at our politico-media-industrial complex. There are two main characters who work in the shadows of two outsized personalities – one in politics and one in media. And there’s a Presidential race. Oh, and maybe we get to see the floor of the Gulf of Mexico. I think it’s at least as fun to read as it was to write (and I kept cracking myself up the whole time). As pleased as I was with the self-publishing process the last time around, I’d like to try and find a publisher for Drain the Gulf! Which means, first step, I’m looking for an agent! Know a good agent? Let me know. I’ve got a big ol’ manuscript for them to read. This is not about decision-making at Current TV. This is about the state of our news industry, and a little bit about me being wistful and idealistic. Vanguard is an amazing show. If you’ve never seen an episode, you should track it down. Engaging, important documentary journalism, albeit hard to find on your cable dial. Vanguard does something rare on TV: add new information to the conversation. As they often phrased it, they shined a light into the dark places. I like that idea of Vanguard as a source of illumination. Particularly while most of cable television news does not provide new light sources- it reflects back those little lights like a riot of mirrors. I hear this accusation leveled against blogs all the time – they’re just building off of other people’s coverage. TV news commentary is the same: a competition to put the best spin on the day’s news. But when you bounce light endlessly between mirrors, it degenerates, it begins to lose its power. And when you start extinguishing the sources, there is less and less illumination happening at all. Current made its decisions because our broadcast marketplace values entertaining commentary higher than expensive original reporting. I don’t begrudge them the choice, I know it must have been difficult. But I do mourn the slowly-dimming luster of our world of journalism. All of my best to everyone at Vanguard, may you continue to shine your lights elsewhere. One of my new colleagues pointed out to me last night that the most recent post here was celebrating my old new job. In my defense, it’s been a busy time. I’ve started a new job (yes, I realize the repetition), I’ve gotten married, gone on a honeymoon, *and* finished off Project Lazarette (at a whopping 617 pages). But a personal blog, even a poorly-maintained one, should accurately reflect a life’s milestones. So here it is: I’ve joined Twitter’s Content & Programming team. I’m working with some old friends and making a lot of new friends. I’ll be based in DC but spending a fair amount of time in San Francisco over the next few months. Twitter, unsurprisingly, is a pretty awesome place to work and I’m looking forward to many exciting projects to come. Also, working for Twitter means that you attract more Twitter-y attention, as I learned last night. The very next tweet to me after Isaac’s was the New York Times’ fridge. The future is pretty great. And I am officially moving to Washington, DC. Many of you already know this – but this is the big ol’ official announcement: I have taken a full-time job with Al Jazeera, as a senior producer on The Stream. This also means I’m moving to Washington, where the show is based. But you’ve been working there for a while, right? Yes, that’s true. I came on temporarily to help launch the show. But, to be honest, I’ve enjoyed the work so much that when they asked if I’d like to come on full-time I couldn’t help but say yes. When do you move to DC? This next week is my last in San Francisco. I’m actually writing this from my flight home to move out of the apartment. What’s The Stream? Oh man, you obviously don’t follow me on Twitter. It’s Al Jazeera’s new social media show. Here’s a link. I will of course miss the west coast like nobody’s business (It’s been over ten years, Golden State!) but I’m very excited about moving east. And DC is a pretty cool town! 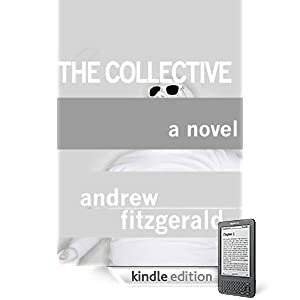 The Collective is on Kindle! Now that I’ve come to a pause point on Project Lazarette (it’s out with readers right now) I’m working on my backlog to-do list. And high on that list? Making my novel The Collective available for download on Kindle! Where once you could only purchase the on-demand dead-tree edition via Lulu now, in our high-tech future world, you can download the book onto your Kindle-device! This is where you click to go to the Amazon. For those of you who’ve read the book already, I sure wouldn’t mind if you’d oblige me with a review. Be honest (about how much you five-star loved it)! 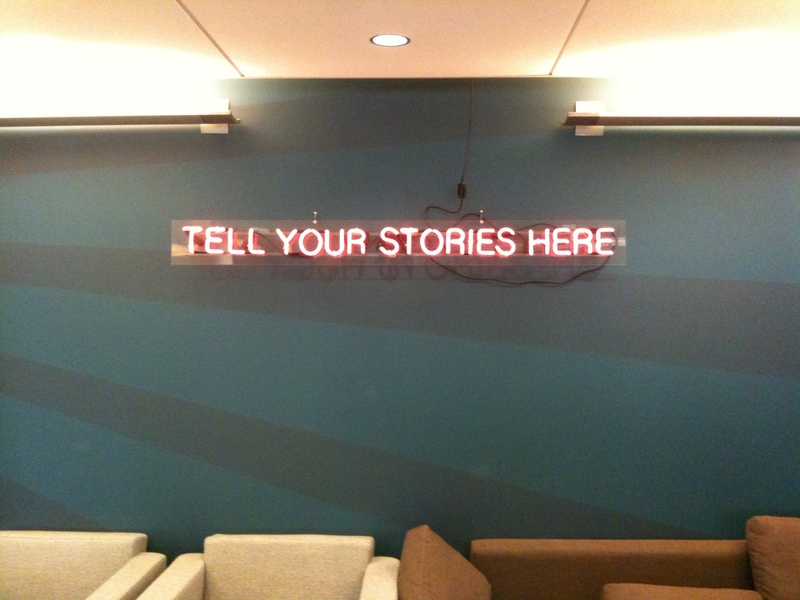 Okay, I’ve got a premise for a you: I think the future of social media in journalism is simple. Not “simple” like, “Hold up, y’all, I got it all figured out.” Simple like, let’s stop trying to confuse our users. A lot of folks have been linking to this Mashable opus “The Future of Social Media in Journalism.” It’s about as lengthy as its ONA Panel title would suggest – but kudos to them, it’s comprehensive and up-to-date. If you’re interested in the intersection of social media and journalism, it’s definitely worth a read. Now, I whole-heartedly agree with the premise that social media is going to turn into just “media” and that newsrooms have an awful lot of adaptation to look forward to. I had one big thought inspired by this, though: I think the future of social media in journalism is simple. Among the article’s examples I was caught by Intersect. Their two-minute explanation video left me baffled in a way that clicking around in their site only compounded tenfold. Now, I don’t mean to pick on these guys (though maybe I’m a little miffed that they’re using that tagline despite it being on a few legal pad drafts of my own projects) I’m sure this is a smart and important effort. But my point is this – why are we still giving users more complicated things to interact with? Shouldn’t we focus on building tools and systems that either a) make interaction as simple as possible in the places your users already are or b) use the user-generated content that’s already being made out there and build new products just for journalists. A) CNN built IReport right into their Iphone app. Perfect integration. B) Storify. It’s a tool built for journalists to pull from across social media where people already are. Keep it simple folks. And classy. Always keep it classy.